Already touted by fashion editors as a top pick of the season, the beautiful Schöffel Keystone 2 Ski Jacket offers four-way stretch for easy movement on the slopes. Both the faux-fur trim and the hood are detachable, allowing for different degrees of practicality and glamour. With PrimaLoft Gold Active quiltint, bonded seams and an integrated, stretch snow guard, this jacket will keep you feeling lovely and warm on the slopes. It’s also highly waterproof and impressively breathable. 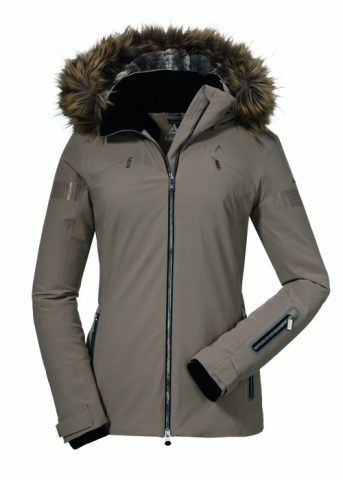 The brand favoured by the Austrian ski team, you know you are in safe hands with this jacket. An inside safety pocket with a zip for storing valuables makes this jacket the ultimate companion for your days on the slopes. The German brand are taking environmental responsibility with their new season apparel, with the 18/19 collection 80% PFC free. Click here to view more women’s ski apparel for the coming season.